I recently got a bundle of the Cotton + Steel Bluebird fabric collaboration from Stitch Supply Co. and it is beautiful! I couldn't wait to use it and the Bluebird Sew Off was just the incentive I needed to get started. 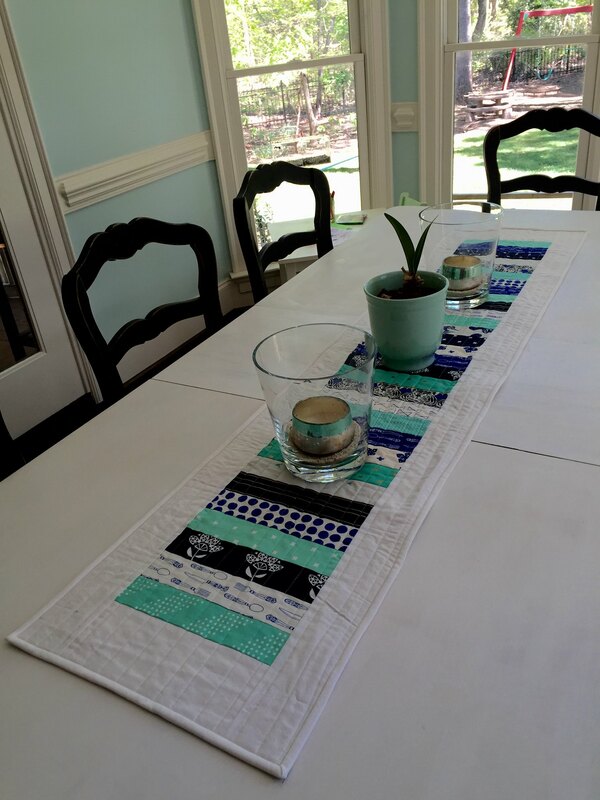 I'm really crushing on the aqua, navy, cobalt combination at the moment, so I added some aqua Cotton + Steel basics into the mix and made a stripey table runner that fits in well with my aqua kitchen. The white essex linen border and binding gives it a summery, beachy vibe. The strips are 10" x 2.5" and the linen borders are 3.5". I quilted it with some simple straight (ish) lines in a soft white aurifil thread with my walking foot. 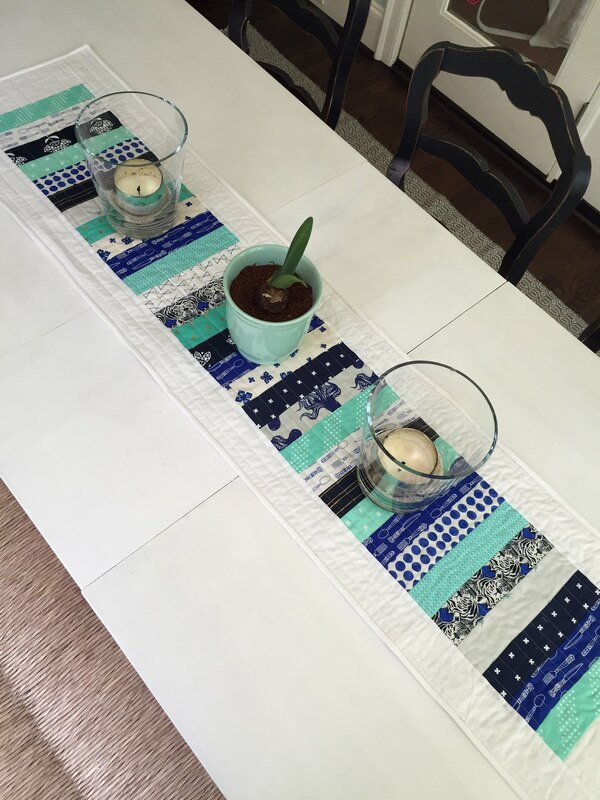 Photographing a long table runner is not the easiest thing to do, but hopefully you get the idea? So, are you crushing on Bluebird too or are you already on the newest C + S collabortion, Black & White? So much fabric, so little time!!! Aha, here's my answer! The runner looks lovely on your table. Great use of color! It looks great on your table! 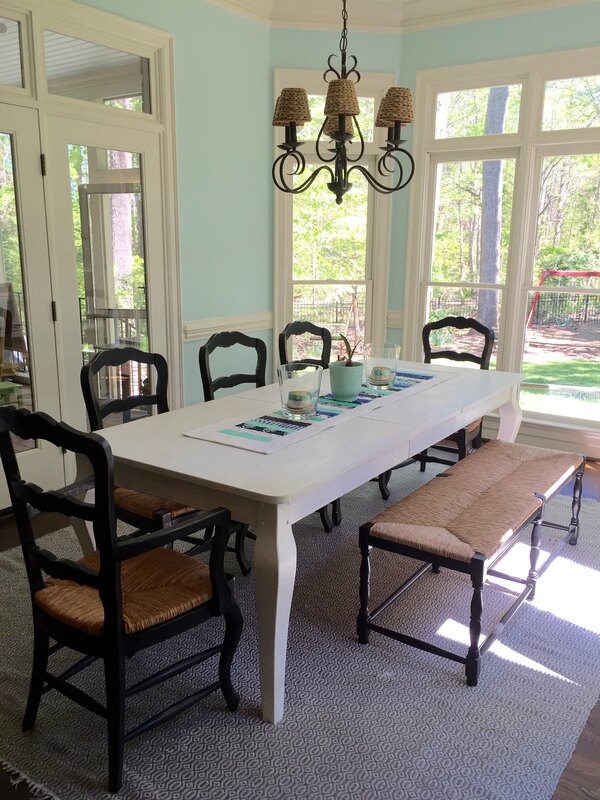 The colours of your furniture and the fabric go together so lovely! lovely lovely...Guess who cheered my day today...only you!!! It looks perfect in that room! 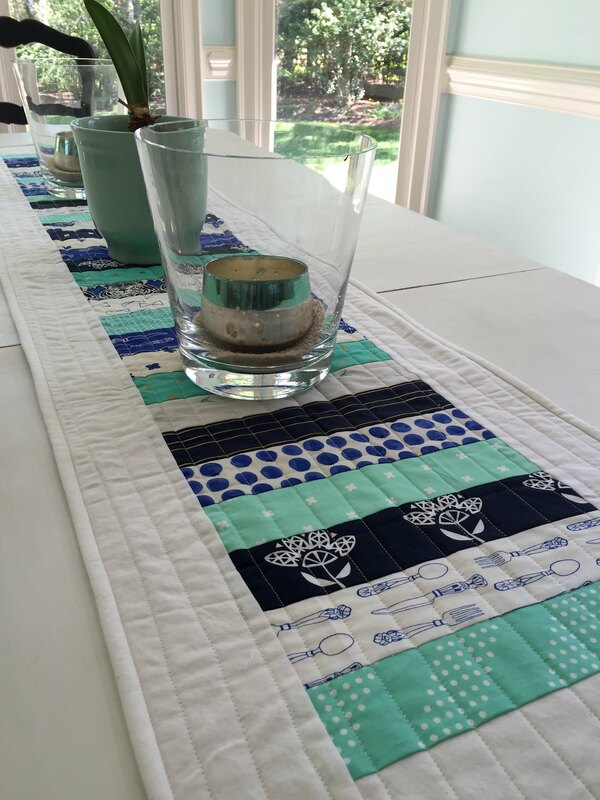 Gorgeous table runner! 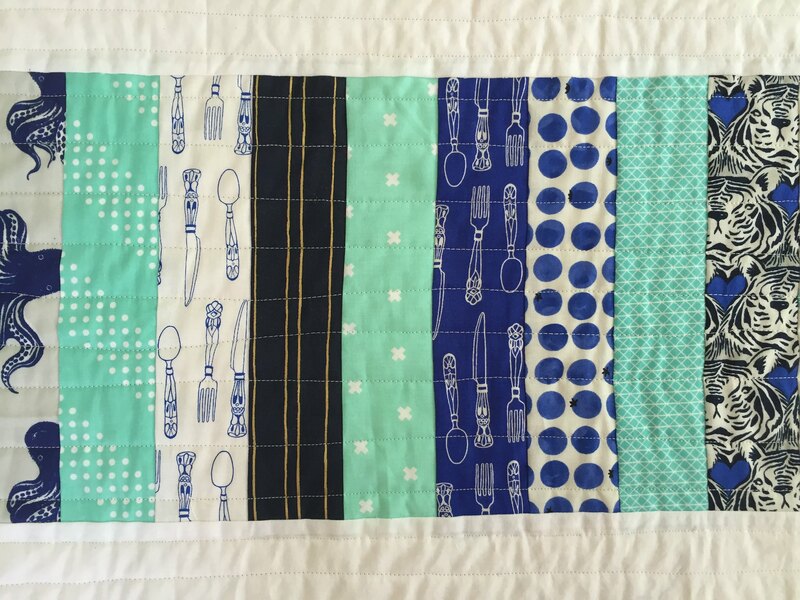 Just discovered your blog from O'Quilts. I like what I see here!